↑ "Titanic Ship Listing". Chris' Cunard Page. 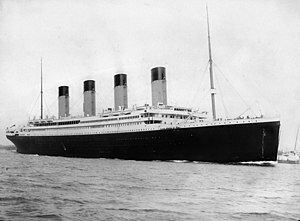 https://web.archive.org/web/20120415195436/http://www.chriscunard.com/titanic.php. Retrieved on 12 اپریل 2012.